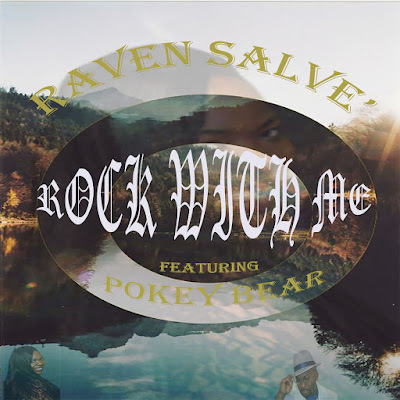 Home / Unlabelled / Introducing Raven Salve' and her new single "Rock With Me"
Introducing Raven Salve' and her new single "Rock With Me"
Pensacola, Florida's Ebony D. Weatherspoon aka Raven Salve’ is ready for success, and she wants you to know it. The 28-year-old Escambia, County, FL native is creating a strong buzz with the release of her new single "Rock With Me," featuring Big Pokey Bear. The single was released on October 17, 2017 on the WEEBAD Record label. "Rock With Me " is currently available for purchase on iTunes and for streaming on all major platforms. “Rock With Me” is an upbeat dance tune with a positive message for all. The single was produced by DaGumbo Kooker in duel locations; Pensacola, Fl and Baton Rouge, La. The song is the first single off her upcoming album “Metamorphosis,” scheduled for release in July 2018. Born Ebony Weatherspoon, the Southern Soul, Gospel and R&B singer began her music career at the age of 5 singing in her church choir. She has been featured in several magazines such as Skope Magazine, 360 Magazine and 24 Our Music just to name a few. A rising star at age 26, Raven Salve’ has appeared on shows with Southern Soul and R&B Artist such as Will Easley, Walter Waiters, Miki Howard, Jazz of Dru Hill and The SOS Band. She has also appeared in major events such as the Original Spring Fling held in Mobile, AL, The FOOT-WASH held in Union Town, Al and others. Look for much, much more of Raven Salve’ in the near future. Links for "Rock With Me"